The U.S. military is supporting research focused on genetically engineering marine life for the purpose of tracking enemy submarines. She said that hard evidence that this sort of biotechnology breakthrough is possible and capable of being used to serve the military is about a year away. Earlier this year, the Defense Advanced Research Projects Agency (DARPA), the research and development arm of the Pentagon, revealed a desire to harness marine organisms for the monitoring of strategic waterways. “The US Navy’s current approach to detecting and monitoring underwater vehicles is hardware-centric and resource intensive. 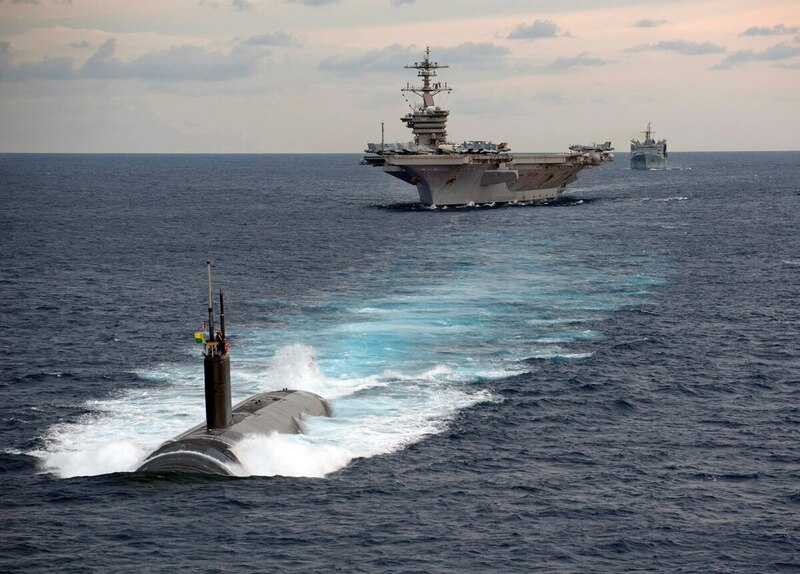 As a result, the capability is mostly used at the tactical level to protect high-value assets like aircraft carriers, and less so at the broader strategic level,” Lori Adornato, manager for the Persistent Aquatic Living Sensors (PALS) program, said in a statement. "If we can tap into the innate sensing capabilities of living organisms that are ubiquitous in the oceans, we can extend our ability to track adversary activity and do so discreetly, on a persistent basis, and with enough precision to characterize the size and type of adversary vehicles." As is, there is already a $45 million tri-service effort among Army, Navy, and Air Force researchers to use synthetic biology to advance US defense capabilities. “Our team is looking at ways we can reprogram cells that already exist in the environment to create environmentally friendly platforms for generating molecules and materials beneficial for defense needs,” Dr. Claretta Sullivan, a research scientist at the Air Force Research Laboratory’s Materials and Manufacturing Directorate, explained in a statement. There are apparently similar programs going on across the branches looking at everything from undewater sensing to living camouflage. The U.S. is once again in an age of great power competition, according to the 2018 National Defense Strategy. It faces new threats from adversarial powers like China and Russia beneath the waves. “In the undersea domain, the margins to victory are razor thin,” Adm. James G. Foggo III, the commander of US Naval Forces Europe-Africa, told Pentagon reporters in October.